This is just what every Android fan needs, right? 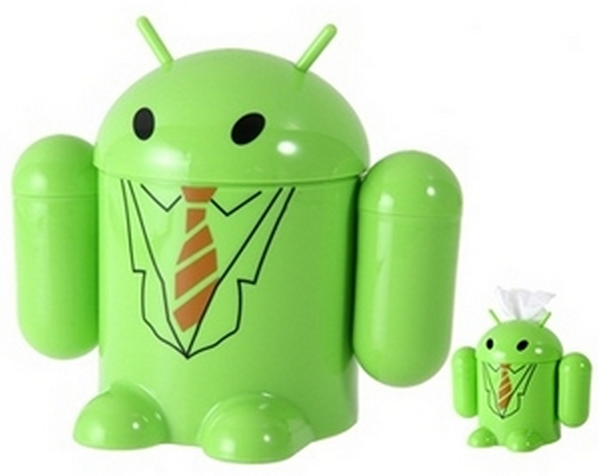 This little Android ceramic piece is a napkin dispenser whose arms double as toothpick or Q-tip holders as well. Now that’s what I call multitasking! For today only, it can be yours for $15, which when compared to a $70 Android mini collectible, seems rather reasonable. And if anyone knows of Hobo Ninja, when you order $25 or more worth of their stuff today, then add the coupon code “DROID25” you get a free Android plush doll with your order. Righteous!